A Payroll Form is used to record employee’s salaries, wages, bonuses, net pay and deductions. Payroll of employees are usually managed by accounting department. Payroll forms are now available on many websites. Computer based payroll forms has made the payroll process much easier and are cost effective at the same time. Payroll forms helps in managing a business employee’s expenses. The form helps in calculating the basis on which payment will be made to the employees. A certified payroll form contains information about who worked on the job, how much salary is paid to them etc. Such forms are generally required by contractors working on government projects. 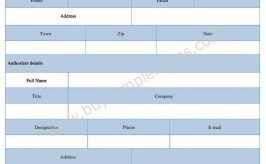 Free sample Payroll templates are available online for download in easy to use formats. In present times, online bank transactions have become the most comfortable way of making payments.